There's a reason why words like "Orwellian" and "thoughtcrime" have stuck in the public consciousness for more than 65 years, and that reason is George Orwell's 1984. 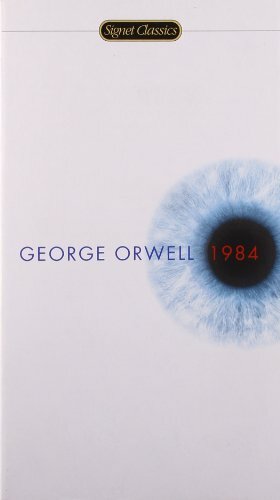 A denser, more complex read than Orwell's also-famous Animal Farm, 1984 is a story about systemic government oppression and the dark side of humanity. We lighten up the proceedings a bit with talk about not one but TWO Hank Williams Jr. songs, the wonders of modern technology, and criticism of criticism of criticism.